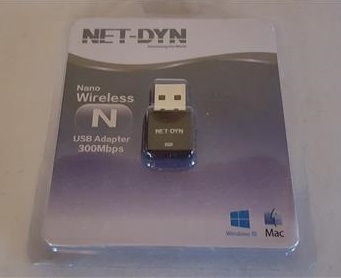 The NET-DYN 300M is a very small low-cost WiFi adapter that works with Windows and Macs. The small size makes it good as a quick fix for a laptop with a broken internal WiFi card, or with a desktop as a quick wireless solution. Compatibility: Windows XP, Vista, 7, 8, 8.1, 10 and Mac 10.7 to 10.10. The package comes with the USB dongle and driver disk. Since it is Windows 10 compatible we plugged it into a Win 10 laptop which found it right away without having to install any drivers. Next we tested it with a Windows 7 desktop which needed the drivers installed from the CD, after which it worked good. The first speed test we did was online with SpeedTest.net which maxed out our internet speed at 50Mbps Down and 5Mbps Up. 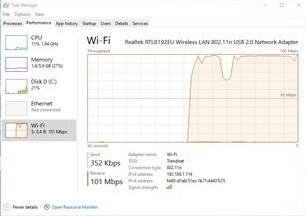 Next we copied a large file from one computer to another using the NET-DYN 300M on our internal network. It gave us very good results of 101Mbps download speed. 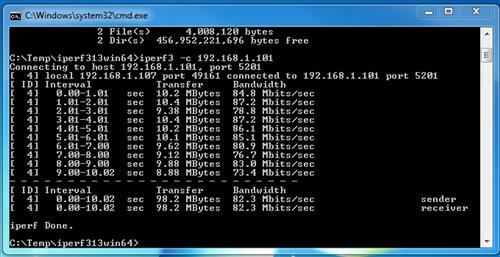 The last test we used Iperf3 which is a network performance speed tester. It gave us 82.3 Mbits per a second throughput using the default TCP settings. So far in testing the NET-DYN 300M has worked very well across different operating systems. 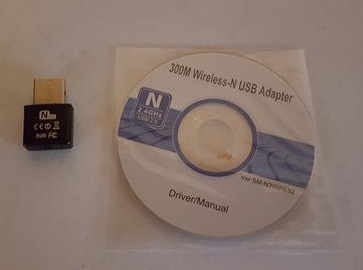 It is a Wireless-N 2.4 GHz USB 2.0 dongle so its not going to break any speed records, but is a good unit for those looking for a good low cost wireless adapter. As always be sure to read the review in Amazon or elsewhere to be sure a unit is a good fit for you. There are many USB wireless adapters available from very fast and newest WiFi protocols to low cost budget units. While most will want the fastest dongle available often it does not match their internet provider speeds. For example a home that has a 50Mbps download speed will have no real need of a WiFi dongle that can run at 200Mbps. Of course if many files are being copied about on a internal network than a faster more expensive adapter may be better. The size of a dongles antenna can also effect the outcome since it will have better range, often small units will not have the best range and may be something to consider when looking for a external wireless USB adapter. Most small units will have the same range as a laptops built-in WiFi although this can vary from unit-to-unit. 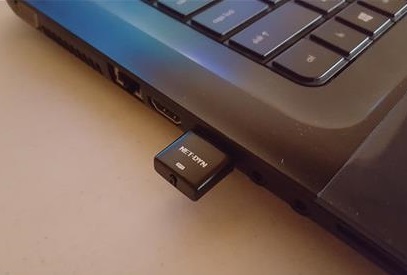 Small dongles are a good cheap option when the internal WiFi has gone bad on a laptop. They also are good to quickly add wireless to a desktop on the cheap. Read here to see a full list of our picks for the best wireless USB network adapters \ dongles. Can I use this with an android tv box?